Traffic signal design is a science. Signals not only help conduct an orderly flow of traffic, they are imperative to both vehicle and pedestrian safety. Mis-timed, malfunctioning, or poorly designed signal junctions can wreak havoc on small and large population areas alike. There is a lot of detail and data that goes into creating and maintaining a well-functioning traffic control system, which is where Dan Preece and his company, Integrated Traffic Services, shine. Since 2003, Integrated Traffic Services has specialised in traffic signal design and validation in the United Kingdom and Southern Ireland. The work involves visiting junctions and roundabouts, connecting to on-street equipment, and collecting and generating data to ensure traffic flows efficiently and safely. Due to changes in traffic control technology and the outdoor nature of the job, Mr Preece requires equipment that is agile, efficient, and versatile. To help make his work more efficient and accurate, he turned to field-computing solutions from Juniper Systems Limited. Traffic control system design and validation has changed significantly thanks to advancements in technology. ‘Previously, during the design phase I’d have to write down the details on a piece of paper or the site drawing, or enter it into a laptop cradled in my arm’, Mr Preece said. But as more equipment has become web-interfacing, the work requires a system that can handle a variety of connection types across the board. In addition, Mr Preece’s site work also requires a device with the Microsoft Windows operating system and a variety of software in order to adjust and monitor the equipment on site. 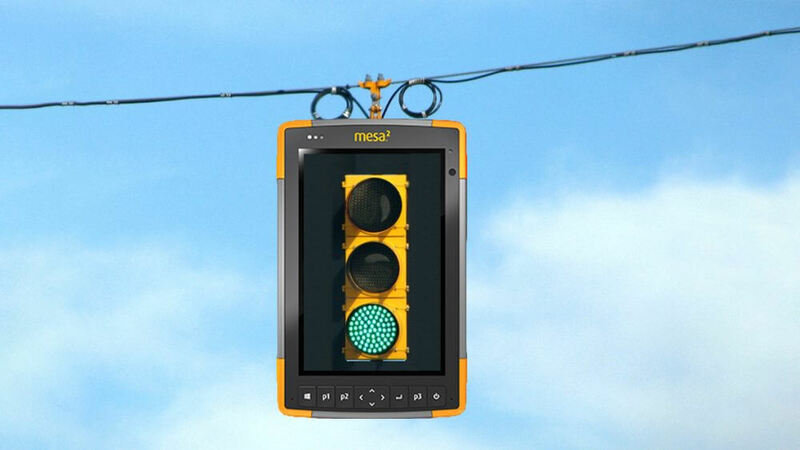 Juniper Systems Limited’s Mesa 2 Rugged Tablet was the answer to Integrated Traffic Services’ needs. It connects to both traditional serial ports as well as new systems via Wi-Fi, eliminating the need to haul other equipment around in the field. ‘What I’ve found extremely useful is that the Mesa 2 is more than just a terminal to connect to the traffic signals. It’s a handheld computer that lets me open a Word document or an Excel spreadsheet with information on how the junction should work. 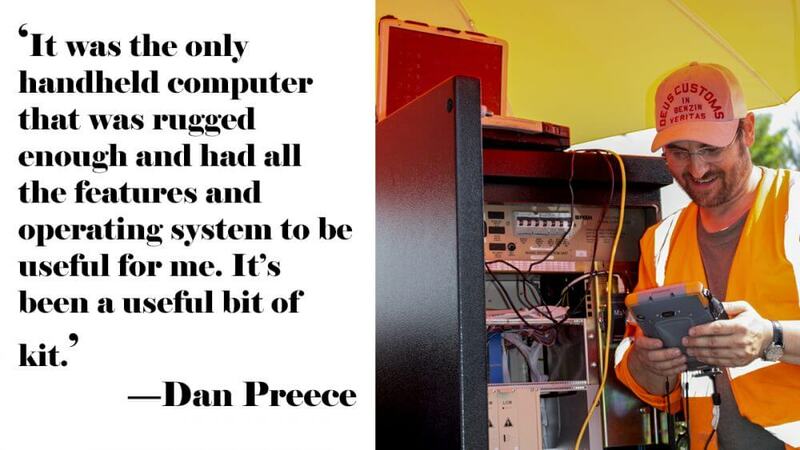 I can just tap and switch between windows on the Mesa 2 and that information is right there for me’, Mr Preece said. Working on the roadside in the U.K. comes with wet weather conditions and terrain challenges, as well as long days. The rugged Mesa 2 is designed to handle any environment. Rated IP68, it withstands dust, dirt, sand, and rain, and is resistant to water submersion up to a maximum depth of 1.5 metres for up to 30 minutes. The high-visibility 7-inch display and capacitive touchscreen work in any weather or temperature conditions. The high-capacity battery powers the screen for up to 10 hours, with up to five additional hours of operating time from the optional hot-swap battery. ‘My Mesa 2 has had a thorough soaking on several occasions, but it’s no problem at all. You just blow the rain off the front and carry on’, Mr Preece said. ‘The battery will easily last a long day on site without worrying about the performance level declining or the screen dimming’, he added. 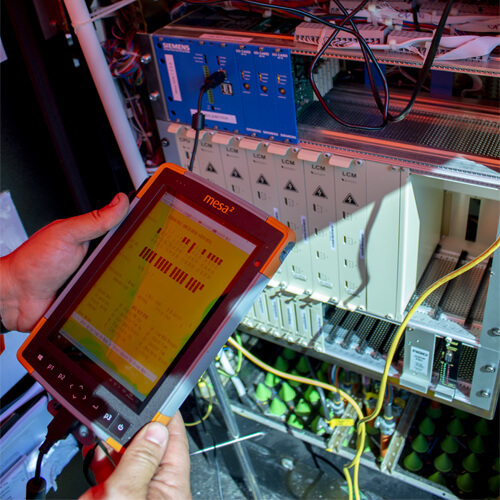 For more information about the Mesa 2 Rugged Tablet or Juniper Systems’ lineup of rugged mobile devices, contact us here. Visit Juniper Systems online. Download the full customer story here. Editors’ note: This post stems from Juniper Systems Limited, a United Kingdom-based office serving Europe, the Middle East, and Africa.